The Plectrum 4-string banjo is a versatile instrument–whether anchoring the rhythm in a Jazz band or in the hands of the virtuoso soloist. In recent years, there have been few choices for the intermediate player–unless you have many thousands of dollars for a vintage collectible! Now, Rover® introduces a banjo worthy of a place in any musical combination–the Rover® RB-35P Plectrum! The novel aluminum rim with its integrated bracket band gives professional tone and volume that you can’t find elsewhere at this price point. The slim, professional neck and correctly designed resonator give ample proof that this banjo was designed by a player for other players. 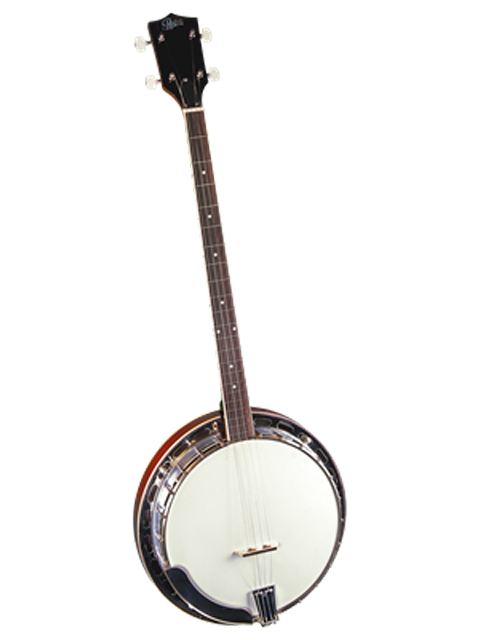 The Rover® RB-35P Plectrum banjo will inspire you to new musical heights!